This shelf is made up of three patterned papers that are border punched and embellished. The photo placed on the shelf becomes the center of attention. A layer of mist adds subtle dimension. This photo is so old, it is an actual polaroid! 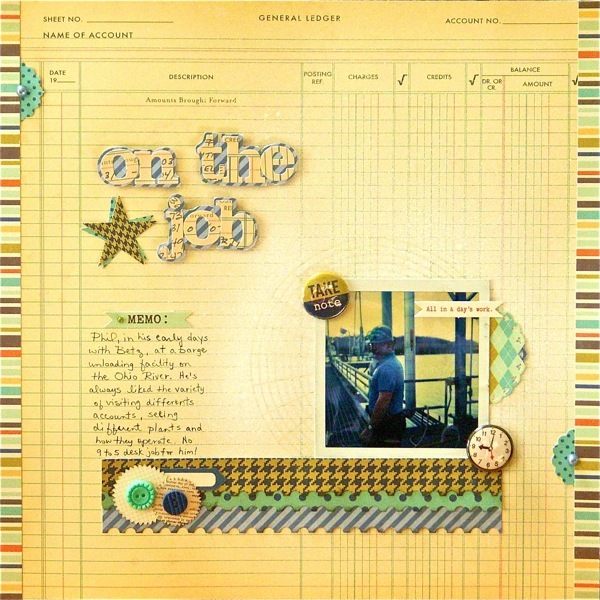 In this example, I've use the shelf to place a photo and title on top, and hang a photo and the journaling below. Grouping key elements in this manner creates a sense of unity. This is one of my favorite shelf pages. 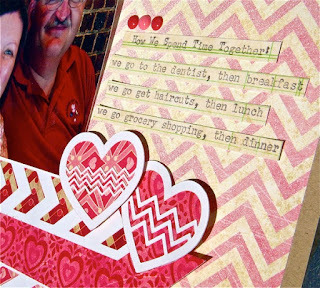 I used a layering technique with paper scraps and tags, and I like the extra dimension the strings and brads bring to the page. I try to keep the space around the shelf fairly clean. This one uses white space quite literally! Here is my most recent shelf page, where I put my Silhouette to good work. The shelf design is useful when you have one large landscape photo or a few square photos you want to highlight. You can vary the placement on the page: to the right, to the left, or smack dab in the middle. 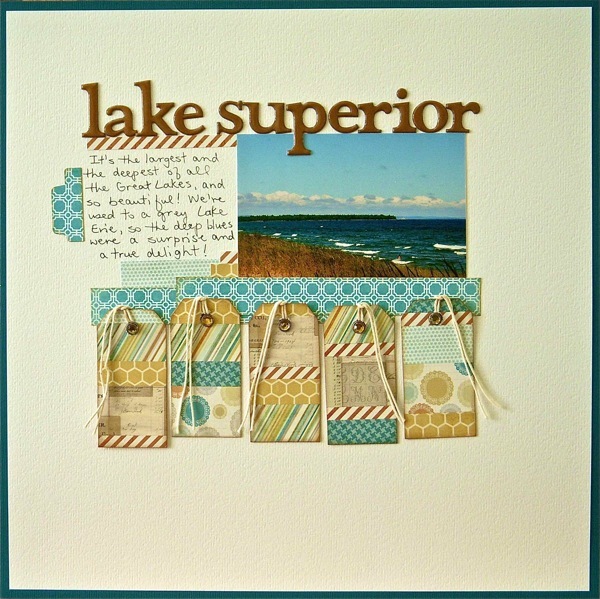 I tend to begin my shelf pages with three layered borders in a variety of sizes and colors, then add a few bits and pieces. 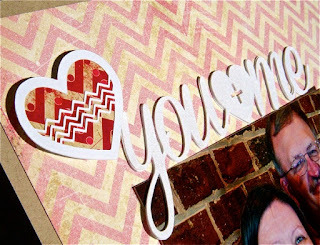 The hearts placed near the title and journaling draw attention to these elements, and create diagonal flow. So are you ready to give the shelf a whirl? Or maybe this is already a Go To Design in your arsenal? It's very handy and versatile! I just wanted to thank you for the time you put into your blog. I learn so much from your layouts and the teaching you do with them. These are all fabulous, Sue! I too will be using these for scrapbooking inspiration this weekend! Thanks for the tip! 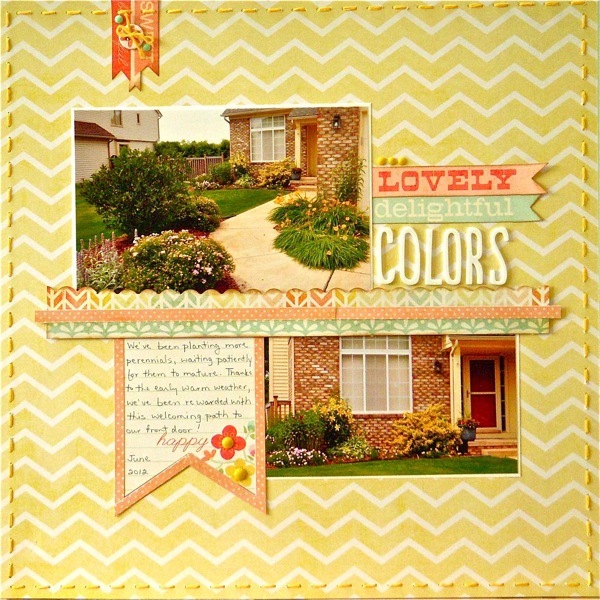 And your layouts are absolutely gorgeous!!! I LOve all of these designs.....very clean and definately something I could do. Thanks for such a wonderful write-up. I love that top one with its vintage look especially. There is always something to admire (and learn) round here. ps - your snowy bridge header is wonderful! love them, all the one with that tag really grabbed my heart love tag.... colors on all oh so awesome.. thanks for sharing. These are all wonderful pages and great examples. I struggle with landscape-oriented photos and it looks like this design suits them so well. Great pages! I ADORE the one with all the little tags...the colors are fabulous! I love your layouts and style. Everything about them speaks to me---color combination, design and subject matter. Just perfect. I never thought of the design element that way - a shelf. Love it! 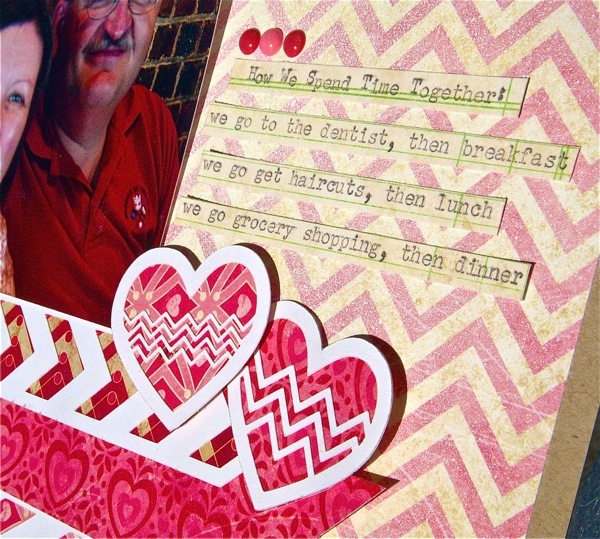 I especially like the "you and me" layout. I may just have to scraplift it! Thanks for all the inspiration! So many great ideas for the shelf design, Sue! That is a very versatile design. Hard to pick a favorite but I think I would go with the one with the tags. I do like this shelf design Sue...think I'll be trying it soon! Wonderful examples, thanks for the inspiration! These are great Sue. My favorite is the shelf with the tags! this is a great design technique. I love doing this, and I love all your examples. These are beautiful~love how you did the title on the first one~gorgeous!!! Love these Sue!! And I love your description for the border strip!! It is perfect...I would have never thought to call it a shelf, but after seeing your examples, it is a perfect description for "displaying" the elements on your pages! Thanks for the great inspiration. I think you do the best "shelves" and clustered embellishments! 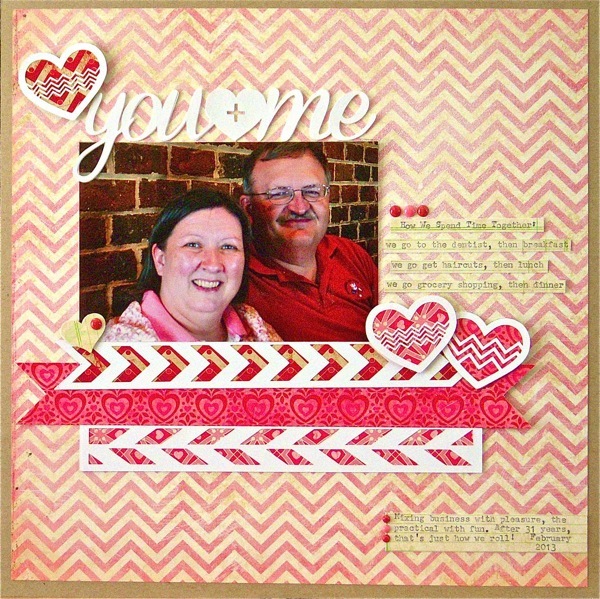 PS Love that wonderful photo of you and your husband looking so happy!